Swamiji is the founder and spiritual director, Pīṭhādhipati, of the Soma Matha which is being build in accordance with the vision Swamiji received from his Guru. Swamiji oversees all activities of the Matha to ensure that they are in line with the spiritual vision of his Guru. Swamiji has been inclined toward spiritual service since early childhood. Around the age of 20, he renounced worldly pursuits to seek spiritual realization for the peace of the world. Swamiji has studied the Vedic Sciences deeply and is considered a master of Yoga, Mantra, Ayurveda, Vedic Astrology, and Vastu Shastra. He has taught the Vedic Sciences to sincere students from all back grounds for over 10 years, and has provided counsel and spiritual services for various Temples, Churches, and other spiritual organizations in the US and India. Now the Soma Matha spiritual center is being built to help spread Swamiji's teachings and blessings to a greater audience. Swamiji works tirelessly to preserve the authenticity of the Vedic Sciences, which have been revealed to the world by the ancient Sages for peace, health, prosperity, and liberation from suffering for all in the world. Neil Parmeswar manages resource development for Soma Matha, including coordinating fundraising and helping plan events. 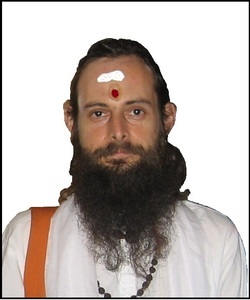 Neil has been studying closely under Swamiji for almost one year and has been studying scripture since a young age. Neil has a Bachelor's degree in engineering from Georgia Tech. In his spare time, Neil enjoys Yoga, tennis, chanting, and Indian classical music. 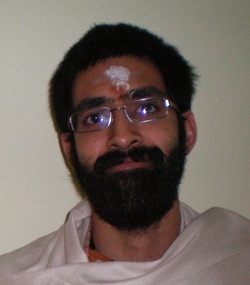 Bharath Regula manages the online communications for Soma Matha helping to disseminate Swamiji's teachings and messages to the world mainly through the Soma Matha Website. 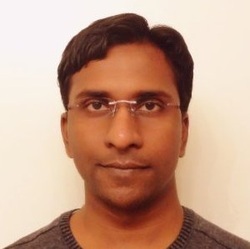 Bharath Regula is an MBA graduate from Boston College and recevied his undergraduate degree in engineering from India. In his free time Bharath likes to explore new technology trends, learn mediation and Yoga, and play outdoor sports.